Well-informed decisions – My kid is in trouble! The Law Offices of Todd D. Beauregard, P.C. help you understand the issues related to juvenile law. By applying your unique facts to the statutory and judge made law we can help a parent make solid decisions. This process requires trained professionals, skilled to work with the Court and Assistant District Attorneys, so the client can decide how best to proceed. Todd D. Beauregard works in both MA juvenile courts. What is a care and protection hearing? Generally called a C&P, it has been alleged that a parent is not properly raising his or her child, thus, the Court seeks to either remove the child from the home or after removing the child for a period, perhaps it seeks to discover whether the parent should be reunited with the child. Foster homes, and adoption options are also explored. My child runs away from home, does not obey the school’s reasonable rules, or is truant, what are the consequences? It depends on the totality of the circumstances involved. A child can be charged under a CHINS allegation, and ordered to avail him/herself of services, be ordered under probation or something more serious. 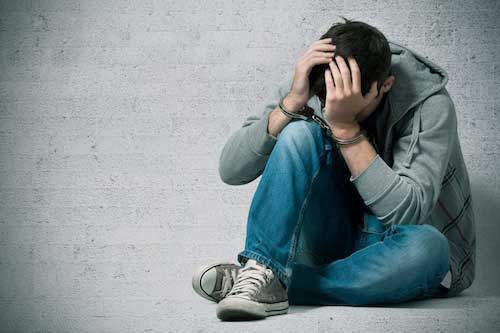 My child must report to Juvenile Court, is he/she being charged with a crime? Technically, juveniles accused of lesser crimes are not being formally prosecuted as a criminal, however, those under 18, charged as an adult, or charged as a juvenile offender are facing a criminal penalty if found guilty beyond a reasonable doubt. The Commonwealth can either order, or suggest that one or more family members avail themselves of counseling, or educational type programs to bring a positive influence upon the family. What is the Probation Department? A state agency, reporting to the judges in Massachusetts, who, where children are concerned, conduct investigations and interviews when so asked to do so. Much like DCF, the probation department makes recommendations to the judge as to what the next step is most appropriate for the child, under a given set of circumstances. In Massachusetts, it is the Department of Children and Families, a state agency charged with the task of enforcing that a child’s best interests are being served. A term used to describe a situation where a child may be seen to be requiring services from the state or others, it is a child-in-need-of-services. For a Free Consultation Call 978-275-1919 or Fill The Form Below.